Are you the brightest bee in the hive? Then join the fun in this ultimate word game. With 150 fun challenges and four alphabet dice, players race to find words containing or excluding the letters shown on the dice. 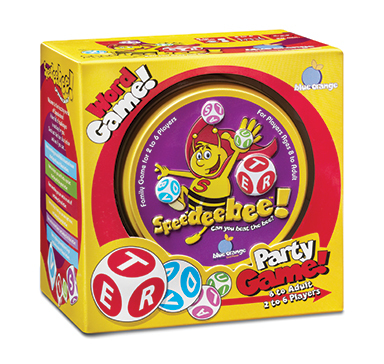 Speedeebee keeps everyone buzzing with exciting, simultaneous play. There’s no waiting turns in this family word game! 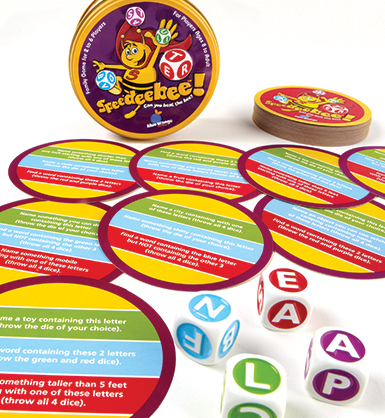 The variety of challenges and dice combinations makes Speedeebee different every time it’s played!